Quote of the Week | Watts Up With That? During a call with reporters on Thursday evening, the assistant to the president on science and technology, John Holdren, said, without any doubt, the severe drought plaguing California and a number of other states across the country is tied to climate change. • For the last decade and a half there’s been no statistically significant warming, certainly not enough to cause increased extreme weather. • We have neither the understanding nor the information necessary to ascribe ANY single weather event to climate change, and we’re a long ways from having either one. But despite Holdren going way off piste in his comment, it wasn’t truly of the quality needed for a quote of the week. It wasn’t concise enough for an epigram … or for an epitaph, for that matter. There you have it, folks, Holdren’s Law of Climate Causation, all you need to know about droughts and such … weather practically everywhere is being caused by climate change. … and people wonder why the alarmists are having trouble these days peddling their nostrums? Well, mostly it’s not a communications failure. Mostly, it’s because we’ve been lied to before by these same folks (including Holdren), and Holdren’s current pathetic shilling for the Obamaclimate program is just more of the same. The issue is not how the science is being communicated, as Judith Curry and many others seem to think. Well, he is right. Climate does cause weather. Without a climate, there would be no weather. And without an atmosphere, there would be no climate. And without a planet there would be no atmosphere. And without a solar system there would be no planet. I guess the problem can be traced back to the Big Bang! Damn that thing! It caused all our problems! didn’t we just recently have a Government study conclude that droughts we not getting stronger, longer or more widespread? What’s that old line? ‘I’ll have what s/he’s having?’ That dude has spent too much time in the old Large Holdren Collider. Did he say whether humans caused the climate change? I suppose that is considered an accepted fact. It will be amusing if they are going to try and deny that they ever believed or stated that humans caused the climate to change. We need to PASS climate change bills to see what is IN climate change bills. It will work out just dandy! Since all weather is caused by (human caused) climate change, it means that no weather event or events can falsify it. Its a religious statement masquerading as science. For those who have religious backgrounds, human-caused climate change is the equivalent of the doctrine of original sin and just as immune to disproof. These are the very same folks who told sceptics a few years back that the weather is not the same as the climate. Since the hiatus can no longer be ignored they are now desperately clutching as straws in the windy weather. This number seems small until it is realized that a decrease of only 4°C would probably be sufficient to start another ice age. Moreover, other effects besides simple screening by air pollution threaten to move us in the same direction. In particular, a mere one percent increase in low cloud cover would decrease the surface temperature by .8°C. Dr. Roy Spencer chips in on Holdren and explains what the weather actually is. You might say, “But what about global warming causing a warmer Gulf Stream, which then clashes with the cold air masses and makes bigger East Coast snowstorms?” The trouble with that argument is that “global warming” warms those winter air masses more than it warms the oceans, reducing the temperature contrast. So, if the opposite is happening this winter, then it’s not due to global warming. The idea that any of the weather we are seeing is in any significant way due to humanity’s greenhouse gas emissions verges on irrationality. Most readers probably already know this, but WUWT runs considerable documentation on the history of weather, and in particular extreme weather. It’s linked above at “Reference Pages”/”Climatic Phenomena”. It’s quite helpful if you’re involved in a discussion and want to scan historical trends quickly. Thanks, Anthony. So, in other words, there is no such thing as natural climate change and natural weather variability any more, right? When did God shut off the natural weather and climate change switch? If he thinks I’m stupid enough to believe that statement, he’s more stupid than I am…..and I’m not even a scientist. What REALLY bugs me though is that there are probably plenty of people out there who are naïve and gullible enough to actually believe him……including many in the mainstream media. There ought to be a law that forbids idiots like him from taking advantage of people’s scientific illiteracy this way. These last three years of the Obama presidency are going to be increasing difficult for me to tolerate, and it isn’t just because of his climate change policy. Obviously though, I don’t have much choice but to tolerate it anyway. Please excuse me now while I go outside and scream. President Obama can propose a Climate Resilience Plan but he can’t fund it. I could be wrong but I don’t think congress will fund the program. Another $1,000,000,000 slush fund, to be wasted on crony socialism by the psyentifically illiterate….. Perfect. Just Perfect. If You Like Your Climate, You can Keep Your Climate. Period. And that, my good man, is the playbook for all issues. Successful politicians know damn well that so many people in the U.S. spend very little time on things that really matter. They only need to imply a problem and tell them that as long as you vote for me I will make sure the government is on top of it. Sadly too many people are more than happy to defer to the government without a thought, just like the Eloi. Wait, I thought climate was the average weather over time. Either the definition of climate has changed, or Holdren’s logic is circular. The Youtube was about Wraysbury. I found out that 58% of the land is in the flood plain. The UK is not the same land it was 10,000 years ago. It has been scraped, tilled, smothered in road and other urbanisation. A new analysis of all 346 published 14C dated Holocene alluvial units in Britain offers a unique insight into the regional impacts of global change and shows how surprisingly sensitive British rivers have been to relatively modest but repeated changes in climate. Fourteen major but probably brief periods of flooding are identified bracketed within the periods 400–1070, 1940–3940, 7520–8100 and at ca. 10 420 cal. yr BP. There is a strong correspondence between climatic deteriorations inferred from mire wet shifts and major periods of flooding, especially at ca. 8000 cal. yr BP and since ca. 4000 cal. yr BP. The unusually long and complete British record also demonstrates that alterations in land cover have resulted in a step change in river basin sensitivity to variations in climate. This has very important implications for assessing and mitigating the impact of increasing severe flooding. In small and medium-sized river basins land use is likely to play a key role in either moderating or amplifying the climatic signal. Warming is warming. Its effect is totally unrelated to statistical significance. No Nick, the statistics is used to see if there IS warming or if it is just natural variation. 2 years are not identical. To proclaim there is cooling because 2013 was not as warm as 2012 is false. Just as is your proclamation. No warming is no warming. “Climate change is so destructive it is causing snow, rain, wind, drought, hot weather, cold weather, ice, dead fish, acid oceans, hurricanes, typhoons, melting glaciers, starving Polar Bears, male pattern baldness, and it even looks like the sun, may succumb to climate change”, he says as he wipes the foam from the edge of his mouth. February 14, 2014 at 12:47 pm. Ever come across the idea of debt socialisation? That’s what POTUS is doing across your nation. Why is it that the warmist narrative reminds me so much of the travelling medicine show of American antiquity? Just when you think John Holdren could not possibly make himself look any more stupid…. he proves you wrong yet again. What an utter Bozo. Well, at least he will be gone by the time Mr. Obama’s term is up. You’re confused. Warming is a statistical effect, & only statistically significant warming is actually warming. And this man advises the president? Holdren is illiterate on so many levels. No he’s not right. In fact he and you both have the causality exactly backwards. Climate is the aggregate of weather over space and/or time. Therefore, by definition, weather causes climate, climate does not cause weather. MattS – which came first, the chicken or the egg? I did not say “caused” I said “without”. And it is true. If there was no climate, there would be no weather. Weather accumulated is climate, but no climate means no weather either. Besides, my comment was sarcastic. He is saying that without the planet we would not have weather. from a strict point of view, he is correct. In space, there is no weather. So without climate change there’d be no weather? What would that be like? When the weather report came on the radio, would there just be a kind of hissing sound, or would it be more dramatic? Imagine: no temperature, no visibility, no ceiling, no wind, no calm, no humidity or lack thereof. I could almost set those words to a trite little tune. Mr. Holdren is famous for his bets. How should we formulate a good bet? You can but it’s like trying to teach a pig to sing. It doesn’t work and it annoys the pig. I blame the 1976 black microdot. Weather: (n) 1. Bad stuff caused by Climate Change. 2. Bush lied, people died. 3. Hemp-based plastics. 4. Karl Rove has a hurricane gun, I read about it on prison planet. Climate: (n) 1. Peerreviewedscience97%consensusBooshdenierracisthomophobewereallgonnadiebutthisisntareligiousdeathcult. 2. Something peer-reviewed by 97% of Climate Scientists. Climate Scientist: (n) 1. A fluid resembling sentient country gravy that can freely shift definitions based on the whims of any person claiming loyalty to the Peer-Reviewed 97% Consensus of Climate Scientists®. 2. I know what I’m talking about & you don’t. 3. Any random entomologist who publishes a letter in the NYT. 4. Any random kid’s-show-host who publishes a letter in the NYT. Climate change cannot cause weather. Climate is a construct. Long term weather statistics where we bicker about what counts as long term. Climate Change doesnt cause weather, its the other way around. When the weather changes in significant detectable ways we call this climate change. changes in weather DEFINE climate change they are not caused by it. if you change the forcings the weather changes. If the weather changes enough your long range stats change. Does adding c02 change the weather? Of course. dont forget the butterflies wings. Does it change the weather in a significant predictable way over time such that we would conclude that the climate has changed? lots of definitions in there.. It doesnt help to frame a thorny problem in the backwards way Holdren did. @CD – Actually that still makes no sense. Weather is influencing climate and any change that goes with it. Gotta love the climate oracles. In summary, there is an extraordinary amount of hype, misinformation, and exaggeration occurring in the media these days about cold waves and climate change. Global warming will reduce the frequency of cold waves and increase the frequency of heat waves. The existence of cold waves, even the large numbers of cold waves this year, says nothing about whether global warming will occur in the future. One thing is clear, media misinformation about this topic is undermining the credibility of the scientific community, promulgating false information to the public, and serves as a great aid to those who deny global warming will be a serious threat later in this century. Slowly, leading climatologists are starting to realize the potential harm caused by all the hype, false information, and exaggeration and are starting to speak out about it. But huge damage has already been done and perhaps a majority of the population believe that weather has generally become more extreme due to increases in greenhouse gases produced by mankind–something that is at odds with the scientific literature. This isn’t funny really. Even my more well-read friends tell me that the weather recently is so wierd that it must be climate change. The consistent barrage of this BS from the MSM is having an effect. As for the quote, I know what he meant. I’m not going to help him say it. It would still be wrong. Must be something else going on. Better yet, if you like your homeowner’s insurance, you can KEEP your homeowner’s insurance. If my mild and pleasant February weather is the result of climate change, then all I can say is: Thank Gaia for climate change! “No statistically significant warming” implies the effect cannot be distinguished from chance. So what effect are you attributing to warming that cannot be distinguished from chance? Insert silly happy face here. @John Hulquist – Oh Dear. I can see that sarcasm escapes most here. If I have to qualify every term ad nausea, the sarcasm is lost. I am sure they have some wonderful blizzards in space. But I do not think man can live in such a climate. Sadly, “people are pointing and laughing” is wishful thinking. People are buying into that sort of deceptive claptrap. Ehrlich, Schneider and Holdren: wrong but well rewarded. Schneider was committed to using deception and fear to sell policy demands based on his consistently incorrect predictions. The President’s (anti)science advisor seems to take his mentor’s work to a new level. @Steven Mosher-Yes of course a change of climate means there was a shift in the “average” of weather. The question is whether the weather events in question are a part of such trends, or are anomalous departures from it or even contrary to it. And in the case of cold weather, the answer is unambiguous: warming means less of it. Period. Thus if we still see a large amount of cold weather, it means that the warming that has occurred, is not large enough to be noticed yet. Shocking I know, you’d really think you’d be able to feel a shift in the global mean of less than a Kelvin. Anyway, in other cases the answer is not as unambiguous or obvious and we have to look at theory and climate data to see if any linkages appear to exist and how large they actually are. If you can’t express it in numbers, your knowledge is of a meagre and unsatisfactory kind. Something tells me you’ve never bothered to do that. You just ramble on about butterfly wings. I on the other hand, try to specifically look into alleged weather linkages to global climate changes. In most cases there is, statistically, nothing measurable there. In the cases where that’s not the case it is typically in the opposite direction people try to claim. Did he say whether humans caused the climate change? I suppose that is considered an accepted fact…. That’s from the official UN Framework Convention on Climate Change, signed by the good old USA a couple decades ago (http://unfccc.int/essential_background/convention/background/items/2536.php). I feel better now, even though coffee is dripping out of my nose onto the desk. That’s the kinda thing that Yogi Berra would say, and of course we’d know that he knew that it was tongue in cheek. Holdren’s statement, however, I’ll take at face value… that he really believes the idiotic things springing from his lips. Thanks. I needed a good laugh today! Very Stokesian… very deep — I shall contemplate your analysis with relish, perhaps mustard as well. So how much has he changed since those halcyon days when he helped Ehrlich make up fairy tales? Well, he’s gotten slicker and closer to power. Abillity to reason? Not so much. The depressing part is John Holdren is not a stupid man — far from it. He holds a BS from MIT and a PhD from Stanford. I don’t know whether he made that statement because he believes it, or because he thinks we will believe it. The fact he was not instantly laughed off the podium by the audience in the room and the viewers at home indicates just how much work we have left to do. ………… Successful politicians know damn well that so many people in the U.S. spend very little time on things that really matter. They only need to imply a problem and tell them that as long as you vote for me I will make sure the government is on top of it. Sadly too many people are more than happy to defer to the government without a thought………..
Actually the politicians are starting to run into a major problem with that. t doesn’t help that 69% think no matter how bad things are, Congress can always find a way to make them worse. That’s up four points from 65% in October and the highest finding in surveys for over three years. More voters than ever now believe a group of people randomly selected from the phone book could do a better job addressing the nation’s problems than the current Congress…. One-in-three (33%) disagree and do not think a randomly selected group could do a better job. Twenty percent (20%) are not sure. It is really the Rain-man effect (idiot savant as once was). Expertise in one area does not guarantee insightful comments in another especially when the comment is flung off without much thought, but just happens to correspond to a politically popular position. Even the great Einstein was guilty of this in that he was totally taken in by socialism. Would any one be interested in say Bobby Fisher’s opinion on anything outside chess? I don’t see this as any different. You are only as smart as the last stupid thing that you have said. Not really true, of course, but I like the sound of it. Thanks for the confirmation that you haven’t got a CLUE as to how to handle data. Can you please elaborate a little on this specific claim, because it is unknown to me. There is a little less precipitation in cold times, but the evaporation rate also decreases with falling temperature. This means that the aridity is not necessarily more severe in colder times. Do you have links to reports showing more droughts or more arid areas in colder periods? Egads, lock up the good silver, it’s the noted agent provocateur, “Racehorse” Nick Stokes. The effect of warming is a function of the amount of warming—more warming, more effect, and vice versa. The effect of no warming is zero. If it doesn’t warm, it has no effect. Warming which is “not statistically significant” is warming that cannot be distinguished from zero warming. Now, for the backstory. Folks, Mr. Nick Stokes has a curious distinction. Despite various ones of his many claims being proven wrong by a variety of heavyweight folks in the past, including Steve McIntyre, Nick has never, ever once been caught admitting he was wrong in even the tiniest of details. Haynes loves discussing his cases to teach young lawyers about trial practice. In 1978, he told attendees at an ABA meeting in New York City that attorneys too often limit their strategic defense options in court. When evidence inevitably surfaces that contradicts the defense’s position, lawyers need to have a backup plan. It’s the Martians what done it – War Of the Worlds starts today! The end is nigh. Woe on us. Even less with the fanatically stupid. I looked out of the window, there is some weather, that’s climate change! People basing their story on “The Hill” (Blog) are using the word “caused”. Reuters is claiming he said “influenced”. That’s OK then. It looks like it has started to drop (as opposed to pause) already. P.S. Before you ask – S-G is the engineering equivalent of LOWESS and yes the curve follows the full kernel plot so I do know the parameter choice is validated. And I also know that neither S-G or LOWESS are good, solid, guides to the future – Tamino’s version included. What do the numbers mean? Inches of rain??? I don’t know – do we have enough data to say that CO2 on a Global scale can affect the weather in such a dramatic way. I thought the measurements weren’t long enough to show that yet – for absolute certain. If the butterfly is under/inside a waterfall does it matter if its wings are flapping or not? Chaos is about those things that don’t change the picture just as much as it about those that do. You act as if the drought started 2 weeks ago. All we have is statistical warming. Where is the measurement of this “real” warming your talking about? Phil, For an instant consider the possibility that weather “causes” climate. If you recon that weather is driven by the minute to minute flux of energy arriving on and leaving the planet, then climate could be regarded as merely an emergent property of weather. Climate then is merely weather over time as it varies due to planetary geography and dissipative processes in the atmosphere and oceans. No you are still bass ackwards. You can not eliminate weather by eliminating climate. The problem for your statement is that there IS a causal relationship between weather and climate, but it is the other way around from your statement. Weather causes climate climate causes nothing. In the winter AGW causes more moisture which produces increased snow falls. In the summer it produces less moisture which increases droughts. No, it’s warming that was measured. It happened. Last weekend we had a heat wave. Two days over 40°C. Probably not statistically significant. But no less hot for that. “Not statistically significant” does not necessarily mean small. It means something that has a chance of happening through known or postulated variability. That doesn’t stop it being hot, cold, windy or whatever, and having consequences. Climate is the sum of weathers. I need the reign of Commies and clowns like Holdren to continue into the future. I need something to rail against, lest I become complacent and shiftless. Ergo, it must be warmer! (/sarc off). Holder has replaced the scientific method with the alarmist/fund raising method! Spot on. Significance depends on sample size and effect size. It is a judgement in a decision procedure. Actually, a ‘statistical significant effect’ is a nonsensical expression as it confuses an effect and our judgment, something like a ‘beautiful effect’ or an ‘overwhelming effect’. Some commenters here should take a course in statistics. Regarding “we can’t ascribe any given weather event to climate change”, the BBC Jeremey Vine Show today : “Climate Change Did you used to doubt global warming, but after this weather, you’ve changed your mind?”) featuring Professor Tom Burke. Burke: “The climate doesn’t change … the weather changes within boundaries we understand…. what we’re now doing is breaking those boundaries …”! An example of BBC balance in action. It has often been said that you can not legislate against stupid. Unfortunately for America many of your legislators are stupid. That makes any thing possible. WillR says (February 14, 2014 at 2:14 pm): ‘People basing their story on “The Hill” (Blog) are using the word “caused”. for whatever that’s worth, given that deception is the very foundation of this administration. In other words, we can’t link the California drought to CAGW, but then again, yes we can. I find that just as funny as the version reported by The Hill. John Holdren, said, without any doubt, the severe drought plaguing California and a number of other states across the country is tied to climate change. Here in Britain politicians and the media are blaming the floods in the south and west of England and the storms that have been battering our coasts on climate change. Can’t we come to some sort of arrangement with the Californians? We would gladly swop some of our climate change for some of theirs. Wouldn’t that be a win-win situation? He got to be the President’s science advisor by being an idiot. So why should he stop now. Dayday, why is that jerk sitting in a canoe with a protective helmet when the water is only a foot deep? Q: Which came first – the chicken or the egg? Some organism or other evolved until at some point it could be called a chicken. That chicken was hatched from an egg laid by a pre-chicken organism, so the egg came before the chicken. Obviously with gradual evolution, there would be no one generation after which everyone would agree that an organism suddenly became a particular named species which it wasn’t before; but I don’t think that negates the argument. Yeah, the droughts are the result of, not climate; but “climate CHANGE”! As are the floods in England and the normal, not too wet and not too dry weather nearly everywhere else … you science DENIERS! Over on NRO I was debating a warmista who tried to claim that 99.9% of peer reviewed literature supports the catastrophic AGW view. I pointed out how the climategate e-mails detailed how the backers of AGW were going behind the scene to pressure journals to not print any opposing studies, even getting one editor fired for opposing them. His response: Who are you going to believe, the climategate e-mails or 99.9% of peer reviewed literature. In case one wonders as to the locale where weather is not cause by climate change, it’s Hansen’s static feed-forward “climate” box with all the feedback loops broken. Climate nirvana in our lifetime. We’re almost there, just another trillion or two. unbelievable, especially exploiting victims of flooding, given Green extremism seems to have played a part in worsening the situation. The Green Party of England and Wales has called for a purge of government advisors and ministers who do not share its views on climate change. Any senior advisor refusing to accept “the scientific consensus on climate change” should be sacked, it said. Speaking on the BBC’s Any Questions programme in June, the environment secretary said: “The climate’s been going up and down” for centuries and pointed out that the earth’s surface temperature “has not changed in the last 17 years”. He added: “The real question, that everyone is trying to address is: Is this influenced by man-made activity in recent years? Can’t arrange that but I’ll swap you any number of envrowackados for some Tories, one for one. ectiAlmost no one in the general public is going to be able to comprehend the actual definition of climate and its relationship with weather. All they hear and think is that our atmosphere has been changed permanently because of all the carbon pollution we spewed into it. Now, the entire system is going bonkers, causing extreme weather events, that even include record cold and snow. The strategy is to sell the connection between extreme weather events/climate change and mans burning fossil fuels. There is no scientific evidence to support this but the battle field in not being fought in the world of science. If that were the case, they would have been laughed out of the battle. This is purely a marketing strategy, much like the ones that advertisers use to sell their products to consumers. They spend many billions to do so because it works. What makes it even easier to sell climate change and extreme weather to the public, is that there is an unlimited supply of extreme weather going on across our planet every year……………there always has and always will be. Seriously, the tactic is to convince people of this connecting by repeating it over and over. Using examples that are unlimited. People don’t have an archive of weather records at home, so they can’t look into past weather and see these extreme events happening just like the latest one to compare it with even worse weather extremes in the past. You probably have some older folks living in the area effected that remember previous similar events. However, younger folks were not living then and the key is to sell a regional extreme event to the entire country. A Super Storm Sandy, while just a minimal hurricane was probably understood to be so by some long time residents in that area. They can remember 1954 when 3 category 3 hurricanes hit the East Coast area in 3 months………….before CO2 went up. Everybody else believes the propaganda and distorted historical significance/reality as it framed as unprecedented. The Midwest drought became the poster child of climate change………..but the prior 24 years, a new record without a severe widespread drought in this area and the best growing conditions in history didn’t count. Neither did the Dustbowl decade of the 1930’s. The 2012 Midwest drought was effectively sold to the public as a consequence of “climate change”. Same thing with the California drought now. Nothing else matters except to create the illusion and connection in peoples mind. They don’t have to prove anything. Of course not, that would be impossible. 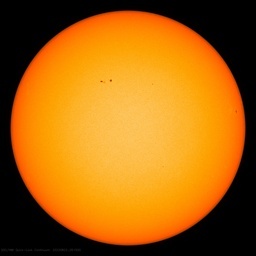 A good example to prove how far they will go to make the connection was Dr. Holdrens statement that we should expect more record cold waves because of global warming. They have a captive audience that are in the brainwashed trans which allows absurd explanations and statements to be stored in their brains as knowledge which reinforces the brainwash. If we entered another Little Ice Age, these people would simply morph their tactics and explanation to account for it. They’ve already taken a step in that direction with Holdren saying record cold is caused by global warming. Gore and others have stated for years, that blizzards and record snow are caused by global warming. In the minds of their faithful, there is now almost no weather that could not have been caused by climate change(from humans). Adolf Hitler would have admired the effectiveness of this brainwash. We can scoff at how absurd their claims are and the lack of authentic science involved but must recognize, the public has bought into it………..already. Once somebody thinks they know something, it’s 10 times harder to convince them of the opposite, while they will allow anything that confirms what they think they know into their brains with very little scrutiny!!! Extreme weather events in the UK and overseas are part of a growing pattern that it would be very unwise for us, or our leaders, to ignore, writes the author of the influential 2006 report on the economics of climate change. 14 Feb: Christian Science Monitor: Will Obama’s ‘climate resilience fund’ help cope with global warming? Let’s build a conceptual top-down model of the Earth. Let the variable W = all the water on earth. Some of that water is locked up in ice caps, glaciers, sea ice, etc. Let’s denominate the fraction of W locked up in ice as W_ice. Let’s denominate the fraction of W that is not locked up in ice as W_not-ice. The fraction not locked up in ice, W_not-ice, is free to participate in the world’s water cycle. The fraction locked up in ice, W_ice, is not. In general, we would assume that W_ice + W_not-ice = W.
Sometimes in industrial refrigeration, for convenience, we used a unit we called a Frigorie. It has the same value as a Calorie (4.1868 joules), but is of opposite sign. When a glacier grows or ice caps grow or global sea ice extent increases, then Frigories are being accumulated and the fraction W_ice should increase. That leaves less water available to participate in the world’s water cycle, so the world is drier. Conversely, when the world warms, Calories are accumulated, and the fraction W_ice should decrease. More water should be released to participate in the world’s water cycle, so the world should be wetter. It would seem reasonable to say that global water vapor is proportional to W_not-ice, so that an increase in global water vapor should mean an increase in W_not-ice (and a corresponding decrease in W_ice). W can, of course, change for other reasons as water can be locked up in chemical reactions other than being locked up as ice. W can (or should) also increase due to anthropological emissions. Every time CO2 is emitted during the combustion of fossil fuels, H20 is also emitted. However, global water vapor either appears to be declining (in spite of anthropological emissions) (Ref. 1) or is not increasing (Refs. 2 and 3). A decline in water vapor would seem to be consistent with an accumulation of Frigories or global cooling – not global warming. Similarly, a lack of change in water vapor, in the face of large anthropological emissions of H20, is also not consistent with global warming. Colder times would be consistent with a larger W_ice and, thus, less water available for the world’s water cycle, which should mean more droughts. There would simply be less water free to circulate. Consequently, Ice Ages should mean a very dry world. IIRC, the driest part on earth is Antarctica. btw how funny the President had to go to California to make his CAGW announcement. running from the snow, Obama? I agree with Nick Stokes. The amount of warming over the past 17 years and 5 months is 0.00 degrees Celsius and I think we all agree that amount is “statistically significant”. Best wishes to all of you on Saint Valentine’s Day. We in North America are all in this together. Candidly, my good friends, you need to find much better help. This Holdren chap is just not up to snuff. Dump him and his boss, ASAP. This is not a new problem – see below. Propaganda (Holdren’s Law of Climate Causation) does not change reality. The drought in California was caused by extreme cold temperatures in central Canada and extreme cold temperatures in central US which the cold high blocked the normal lows from the Pacific Ocean that bring rain to California. Winnipeg Canada for example has had the coldest winter in 60 years. The extreme cold temperatures in central Canada and central US have created a Rossby wave that is the cause for the string of rain storms in the UK. The UK weather is dependent on the direction of wind across the Atlantic. Coinciding with these changes is the largest increase in Arctic summer, sea ice coverage on record (caused by the increase in cloud cover in the arctic in the summer) and the highest month by month sea ice coverage in the Antarctic in the last 35 years. As planetary temperature has not increased in 17 years, something else must have changed to cause what is observed. What has changed is the sun. Comment: Unfortunately for California the solar cycle 24 change is going to bring biblical floods to California. A super weak solar magnetic cycle results in high GCR which results in increased precipitation and an increase in cloud cover over the ocean. It doesn’t matter that they are idiots–they are idiots with power and power is all that matters. As a reformed academic myself, I can testify as to how far back the academic disease (i.e., institutionalized ignorance and stupidity pretending to be learning and knowledge) goes – I left academia in 1973 having had quite enough, thank you. About all these people’s credentials do for them is to make them arrogant and think they are morally and socially superior. In my observation, for a huge majority of academics, their education leaves them knowing less that is factual about the world, even about their own specialties, and less able to engage in rational discourse, than ordinary educated laypeople. They are actually inferior, not superior, to the people for which they harbor such contempt. Holdren’s case is an example of this, but is also compounded by misanthropy, perverse motives in general, and just plain mean-spiritedness (to “de-develop” the United States can only be taken as the mantra of a vandal, a wastrel, a hatemonger). He is a particularly maleficent, evil personage whose ambitions must be frustrated at all costs. Wow! That means that somewhere on our planet there is a little sliver of weather that is not caused by climate change. What would be the driver? Is there some way to deduce it,s most likely location? The meaning is clear. Before mankind started pumping CO2 into the atmosphere, we never had weather. Temperature and precipitation cycled smoothly through the seasons, one day very much like the next. It’s worth noting that the onset of the last deep cold period – the Little Ice Age – around 1300 A.D. was accompanied by extended drought in the southwestern United States, which, among other things, brought about the collapse of the Anasazi/Cliff Dweller civilization in the American Southwest. Today’s drought is therefore yet another possible indicator that we really are in for another Little Ice Age. Very, very good! That is quotable. heysuess, you almost made me spit out my rum and coke onto my keyboard! What are you, some kind of racist/nazi/homophobe/fascist/sexist/denier/troglodyte/…umm, what else can I throw in here? The 2013 update incorporates the latest scientific consensus which indicates the need for accelerated emissions reductions in the coming decades to achieve climate stabilization. This update calls for a midterm statewide greenhouse gas reduction target, and specific reduction targets for each of the key sectors to guide California’s path toward an 80 percent reduction by 2050. The 2013 Scoping Plan update includes input from a range of key state agencies. It is also the result of extensive public and stakeholder processes designed to ensure that California’s greenhouse gas and pollution reduction efforts continue to improve public health and drive development of a more sustainable economy. Holdren wants to kill 25M people, and he has an office in the White House. I’m not sure we should be laughing at him, if he were holding a sign on a street corner or teaching at a college – sure laugh, but he’s a little too high up the food chain for laughing. Our Dear Leader ‘had’ to go to California for warmer weather golfing. He can make the American taxpayers pick up all of the bills by throwing something in that looks like presidential business. His climate change speech is high irony, given his HUGE ‘carbon footprint’ for such deceit. Apparently that was not sufficiently wasteful so he added in a Billion dollar climate slush fund to recycle some more taxpayer money into campaign contributions for socialist democrats in the 2014 and 2016 elections cycles. Now that’s real green recycling, from Our Dear Leaders elitist perspective! How much weather is being caused by climate change? Maybe 1 part in 1,000. Now, how exactly can a 1 part in 1,000 energy imbalance lead Holdren to state, “Weather practically everywhere is being caused by climate change”? Well, all I can think of is that his statement is not based in science. Of note in the paper, is one thought that the reason for them leaving their homeland “prior” to the start of the Great Drought of 1270s was that they had already lived through these harsh droughts before. This one was simply the last straw, and perhaps the leader/s at that time understood the signs of what was coming. The Great Drought, of course, happens to coincide with the LIA, making it an effect of a solar grand minimum. Another study mentions that the real problem with the drought was that the Anasazi could not move to local higher ground and farm, because the higher ground was too cold, so too dry where they were and too cold in the nearby higher country. Interesting thoughts, especially since the approach of the next grand minimum is now considered to be nearby. Chad, here is my take on the current contretemps. This is all a reversion to “superstitious man”. It is all about us. Whenever, back in olden times, there was a terrible natural event, humans supplicated their gods, making sacrifices, and trying to atone for their sins. Today’s shamans are trying to convince us that whenever something bad happens, it is our fault, and we must atone. The sheer arrogance that WE can control the weather, by committing sins against Mother Gaia, and then “correcting” those sins, smacks of idolatry, compounded by ignorance- aided and abetted by the scientific vacuity of those “reporting” on the science, is laughable. @Willis Eschenbach-You should ask me to relate to you the tale of Nick Stokes and the Just So Story some time. I picked up that quote early this morning and immediately thought “Here’s the most idiotic quote of the day!”. I knew you would pick it up too. You can read detailed results of the NSF poll here (PDF). Great article and quote. I am sending this link in case you may have missed it. Enjoy your blog. Willis … your post does not take into account regional warming which has most definitely taken place since the mid 1990’s. Just look at what has happened in the Arctic and in eastern north America … the data speaks for itself! The cause … who knows … but clues certainly link to the earth’s magnetic field! Every decade of “statistically insignificant” ANYTHING goes AGAINST all predictions of warming. If you will buy man made weather effects, you will buy anything. Most of the fools infesting our civic structures, have failed this test. The bandits however, well they are making out like… gathering taxpayers money. Every decade and a half of “statistically insignificant” ANYTHING goes AGAINST all predictions of warming. By their standards one could make a more credible case that the drought in California more than coincidentally coincides with the passage and subsequent rollout of Obamacare. Now, whether or not we can attribute that to Obamacare getting rid of it is the right thing to do. By their logic this foregoing argument is flawless. Words can only say so much…… Holdren has carried the ball as dictated. And it ain’t comin from the POTUS. He only reads the teleprompter on the subject of CAGW. Oh the pain! OT post, reg. the Mirror Farm that cooks birds thread below. Posted a question down there and now here also as I did not see any info regarding any possible hail storm history for the area, any excessive high winds in the history of the area. Moderators and or Anthony or others who have access and knowledge what is known on that. If hail or wind storms do occur , then what the Insurance cost might be and or how these investors would deal with a rebuild after an event? I’ve read from many sources that the California drought, being caused by the “Ridiculously Resilient Ridge” is from global warming and climate change. Reasons vary from the loss of Arctic Ice, the models predicted it, ridges are stronger when the planet is warmerr, thickness’s are higher from warming, dry areas get drier/expand from global warming and so on. There are dozens of articles from varying sources but none that I read that identified an actual connection that provided the scientific evidence. 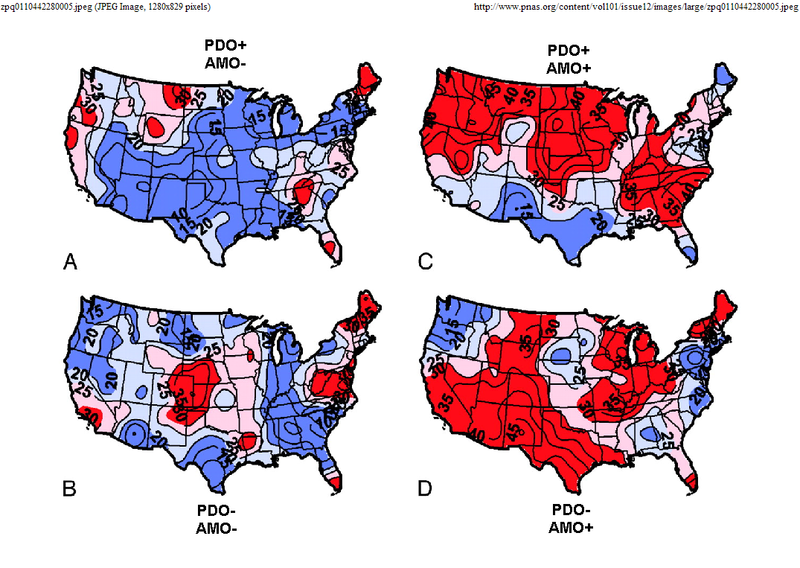 What I note is that the PDO has been solidly negative now since this drought began. The correlation between a -PDO and increased drought has been established. We have a tendency to see more La Nina’s during -PDO periods and that often leads to high pressure zones and jet stream deflections northward in the Pacific similar to what we’ve experienced recently in this area. We are not having a La Nina currently. The Ridiculously Resilient Ridge is clearly an anomalous example of such a pattern and might or might not be related to the PDO which as mentioned has been strongly negative during this drought. A -PDO is actually a global cooling pattern. Not just the fact that we see more La Nina’s when this index is negative but it typically will be negative for a period of around 30 years and at those times, the planet tends to cool a bit(mid 1940’s to mid 1970’s for example) even when CO2 levels increase. The positive PDO regime ended close to when global warming from the late 70’s thru the 1990’s also ended. Of course we had more El Nino’s and fewer droughts during that time frame too. When Dr. Holdren came out with his statement last month that the Polar Vortex was displaced because of global warming and we should expect additional record cold outbreaks in the future because of global warming, I provided the Winter of 1976/77 as an example of the Polar Vortex dropping in to the US repeatedly. As a result, that Winter was one of our coldest in the last 100 years. Not coincidentally, that Winter also brought an historic drought to California. Not coincidentally, the PDO was negative during that time frame. Note that CO2 could not have possibly been a factor and the world was in a global cooling scare at the time…………..because we had been in a modest global cooling, natural cycle that was nearing its end at that time. We are in the same part of the cycle right now. Increased incidence of droughts are too be expected. Harsh Winters will be more frequent, especially downstream from the West Coast, where ridging there, teleconnects to deep troughs in the Midwest and East. Obviously, one might think that if we were in the midst of a strong La Nina, it might make the connection more clear but ENSO is neutral right now. However, 1976/77 also did not have a La Nina. Instead there was a very weak El Nino. Now to add to the confusion but to stay completely honest. After analyzing actual weather maps and patterns and comparing 76/77 with 2013, we come up with completely different height anomolies………but they still lead to similar wind patterns and a northward shift in the storm track. It would appear like, for different reasons. If the Arctic had recently become ice free, one could make a case as that being a factor. However, if it were mainly from less sea ice coverage, then we should have seen signs of this developing as sea ice was melting and coverage shrinking for 20 years……….not suddenly in 2013 and coinciding exactly with the Arctic gaining a substantial portion of ice in one year. The Hill misquoted John Holdren. Unless, of course, the earth enters a cool cycle, and then it isn’t climate change, but rather simple natural climatic variance…. It’s just simple science and basic logic. Dummies incapable of seeing this reality are in the pocket of rich oil companies and are deniers incapable of understanding complex science and logic. No. “Statistically insignificant” proves nothing. It is a test that failed. If you want to disprove predictions of warming, you have to test those predictions. If you find a significant deviation from that, you have something. I can’t see anything controversial about Holdren’s statement at all. Any climate change, whether in temperature, sea level or ice coverage will effect the weather somehow, at least statistically. Or maybe you folks are looking at this from the wrong end. Holden always blamed Man for “climate change”. He has never recanted his global cooling theories from the 70s. For all we know, he believes in a new little Ice Age. In his mind, the end result is the same, so why dither over causation when it’s inconvenient? When I have to hire an expert witness for a case I am working on, (David Sanger) we call Holdren’s statement “flexibility”. We are, quite irrevocably, doomed. Nick, how accurate do you think the temp was globally in 1900 as measured then and interpreted and calibrated into today? Your comments, although satistically not wrong, probably aren’t comfy…. Just sayin, it is what we interpret in the end, no? You wouldn’t be related to Holdren by any chance, would you? Well, it’s a long story, and I think here people are mainly talking about the last few decades. But it does raise an issue. There is measurement uncertainty. That’s about the temperature that was. But that’s not what people here are talking about with statistical significance. There it’s the much greater uncertainty about natural variability. The temperature that might have been. It requires fitting a statistical model. And it affects what you can deduce from the observations, in terms of climate implications etc. But it doesn’t affect what actually happened. If it rained, it rained. May not signify anything re climate, but it’s wet. Distinguishable from zero. Before climate change there never was any weather. it was all butterflies and unicorns. bad weather only happened to out enemies. looks at the communist, they always had bad weather, and the fascists, they always had bad weather. while we always had good weather, until the deniers caused climate change. I can’t see anything controversial about Holdren’s statement at all. Any climate change, whether in temperature, sea level or ice coverage will [a]ffect the weather somehow, at least statistically. Climate science is bizarre, in that it perhaps the only physical science whose main focus of study is not something physical. This is because what we call “climate” doesn’t exist—it is a mathematical construct obtained by averaging weather over a “sufficiently” long period, with 30 years often arbitrarily chosen. Now, consider … climate doesn’t exist, it’s just the long-term average of the weather. Since climate is the average of the weather … then how can it cause the weather as Holdren claims? Weather practically everywhere is being influenced by climate change. While these may be his actual words, it’s no better. Once again, climate is the long-term average of weather. As a result, the weather certainly influences the climate (any weather incident influences the long term average of the weather) … but how on earth can the average of the weather (the climate) influence an individual weather incident? “Not statistically significant” does not necessarily mean small. Just flip a coin it’s just as likely LOL…. That’s always been my problem with the whole assumption that we are experiencing “global” warming and not an increase in localized temperatures. Iow, when it was 58 degrees in central London on April 9th, 1914, how close in actual sensation on the skin– all things being equal– would that be to a reading of 58 degrees in London on April 9th, 2014, given all the changes in data reading and collection technology and adjustment procedures? Could it be that a reading of 58 degrees is significantly warmer (or cooler) today in a statistical sense, than it was back then? That 58 degrees was actually 56 back then and 100 degrees F today was actually 97 back then? I blame the 1976 PURPLE microdot. I haven’t been able to read all the comments. Maybe someone had already asked this. I sincerely hope a reporter asks him. Given that by “climate change” he means Man caused it via coal power plants and other “fossil fuels”, just exactly where does he believe that “the weather” is NOT being caused by Mann? how on earth can the average of the weather (the climate) influence an individual weather incident? That’s an important point, Willis. Of course changes in climate aren’t generally evident in individual weather events. The influence may be small and only observed in the overall average over a period of time. That’s why you can’t say that this storm or this drought or this heat or cold is specifically due to climate change. A similar and non-controversial example in a different setting would be a hypothetical situation of air pollution. Imagine a long term study showed that over a ten year period, in cities where the air pollution exceeded a certain value X for a period of time, there was on average an increase of 2% in respiratory deaths, after accounting for all other differences. Even though the result could be well-established statistically it might not be obvious to the everyday citizen. Consider an example week in a city where on a low-smog week there were 100 deaths from respiratory illness. The following year it is very smoggy and there are 102 deaths. Such a result would be in line with expectations. But if you looked at one specific individual among the 102, can you say their death was due to smog? No? And if it was your own Uncle Harry, could you blame his untimely death on the smog? Not at all. There’s no way to know. Furthermore you couldn’t have the relatives of all 102 people blaming the death of their loved one on air pollution. There were two indeed two additional deaths, but not any particular two. The way I see it it is similar with storms or droughts. If statistically over a long enough period of time there is even a slight change in the number of storms or droughts or heat waves etc. you’d never be able to pick out just one and say that it was or wasn’t due to factors influencing the long term climate. That wouldn’t however mean that there is no influence. The real question then is the study over an extended period of time of changes in the number, duration or intensity of various weather events, regionally and globally. And that will take a long time to sort out. Good comments, both of you. my thanks. Now, making the “assumption” of even one storm (of any variation: hotter, colder, drier, wetter, foggier or furrier, snowier or dustier) even more or less than it would have been otherwise, much less having been specifically affected by “climate change” that has been caused in turn by the addition of “man-released” CO2 “poluttion” is bluntly, impossible to any but a CAGW fanatic. See, CO2 has been increasing steadily since about 1950. Temperatures -assuming they would affect a specific storms as you just described, have NOT increased for 17 years. Thus, you have to show that the feared “change” in storm intensity or duration (or the absence of a storm because of temperature)that those 2 extra deaths DID occur due to a change in temperature that was caused by a change in CO2 levels, even though that change in temperature did NOT occur! And the spokesman propagandizing those CAGW-caused 2 extra deaths (102 instead of 100) would also need to establish that those 2 deaths DID occur during this particular storm – that happened despite no change in temperature! – at this particular time, NOT any other time in the past 17 years of constant temperatures. BUT … it can happen if the news media only report what they believe, and what they are told is what they already believe, and what they are told reinforces what they WANT to believe. I will be willing to donate $1000.00 TO THE WUWT tip fund fund if somebody could find a any survey of US news reporters showing a majority know that global temperatures have NOT risen dramatically and disastrously the past 17 years. 97% will not know that simple fact. So a temperature “hiatus”, “plateau”, “no upward trend”, “no statistically-significant global warming” [agreed by Dr. Phil Jones who said “Yes…”], “global temperature has been flat for a decade” [Dr. James Hansen] etc. is warming??? I think you meant to say warm not warming. Here are the many temperature standstill quotes from the climate scientists who beg to differ with Nick Stokes the climate modeller, fighting for his survival and career. Two major problems at work here. First… this administration is banking on the sheeple not doing their homework/research. And with the internet, that is unconscionable. The second problem… this administration is filled with self-serving liars across the board and at all levels. I will leave it to the reader to form their own opinion as to why the lies. This drought is nothing more than another opportunity for his administration to take the sheeple for another shearing. I notice that sophists – notably Nick Stokes – are trying to change the definition of “warming” that was used by climastrology until global warming stopped. I am replying to your post at February 8, 2014 at 1:01 am which is here and is in reply to my post at February 7, 2014 at 11:15 pm which is here. That’s why all this talk of “statistically significant warming” is misconceived. You can test whether a trend is significantly different from zero, and maybe deduce something if it is. But if it isn’t, your test failed to reject. No result. That is warmist sophistry which pretends the ‘pause’ is not happening. Climastrology uses linear trends and 95% confidence. There are good reasons to dispute each of these conventions, but they are the conventions used by climastrology so they are the appropriate conventions in this case. Those conventions were used by climastrology to claim there was global warming. What matters is to use THOSE SAME conventions when assessing the ‘pause’. And it is sophistry to say that different conventions should be used when the result does not fit an agenda. I stated that “There are good reasons to dispute each of these conventions” but, so what? The only pertinent fact is that those are the conventions used by climastrology. It is ‘moving the goal posts’ to now say those conventions should not be used because they are wrong. You have tested whether the observed trend could have happened with an underlying zero trend and natural variation. And the answer is that that can’t be rejected. But lt is not the only possible explanation. Whatever the cause of the ‘pause’ is not pertinent to a determination of the existence of the pause. Each of the several time series of GASTA indicates no trend which differs from zero (i.e. no global warming or cooling) for at least 17 years until now; RSS indicates 24.5 years. Importantly, 17 years takes us back to 1997 and there was statistically significant warming over the previous 17 years. Therefore, discernible global warming stopped at least 17 years ago. 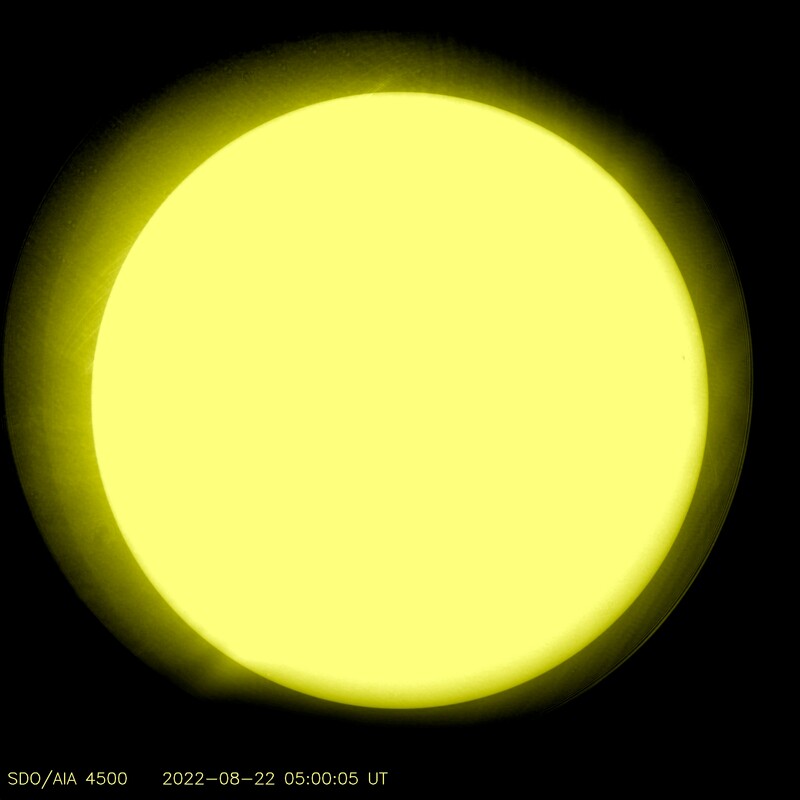 The conventions adopted by climastrology may be mistaken (I think they are) but it is not “science” to choose when and when not to use conventions depending on the desired result. I disagree, a discerned pattern of weather creates climate. I tell you Kate that gave me a huge belly laugh – I mean it. That and Mr Holdren – what a FW. “Climate change cannot cause weather. Posts absolute bollux most of the time and then runs away, not to be seen in the thread again. He and his fellow travellers ( though he would like you not to notice and would like to say he wasn’t one).used to say…………… in the last century, that it was the increasing temperatures (increased heat energy in the Troposphere) that would cause weather changes on the Earth. Fair enough, I can see the rationale behind that. Now, in the 21st century, when temperatures have not increased at all, he wants to tell us that we don’t need the intermediate step of temperatures actually increasing, we can just leap to the proposition that increasing CO2 in the atmosphere leads to different weather even when the temperature of the Earth remains the same. The Troposphere, where we live and where weather mainly happens, doesn’t have any measurable heat energy change but apparently reacts very violently, in weather terms, to a change in CO2, a trace gas, which has not had any measurable impact on the heat energy content of the Troposphere in the period under question. Amazing! Why don’t you publish a paper on this incredible concept Mosher? You will no doubt win a Nobel prize for your amazing insight! That is on the assumption you can assign some sort of physics to this phenomenon. Mosher, you surely can……… can’t you? Note Holdren’s bold lie about the “creampuff” NAS report is telling – Holdren conveniently neglects to mention the more credible Wegman report to Congress, which savages Mann’s “hockey stick” and Mann’s cabal of co-authors. Some nice DC and NE pix of extreme winter unprecedented snow. I’m starting to get it now — Climate causes weather. I never understood this before. Now I see the light. From Wikipedia: [Holdren] along with two other scientists helped Paul R. Ehrlich establish the bet with Julian Simon, in which they bet that the price of five key metals would be higher in 1990. The bet was centred around a disagreement concerning the future scarcity of resources in an increasingly polluted and heavily populated world. Ehrlich and Holdren lost the bet, when the price of metals had decreased by 1990. Holdren’s theory sounded plausible in 1980. His ideas sound plausible today. But he is betting our money now. the very first comment here requires remarkable IGNORANCE to author, the climate in NO WAY exerts any control over the weather……the climate is ONLY the average WEATHER of the previous 30 years….and again has NO control over the weather…. Holdren’s 1972 book forecast many things about the economy and energy sector, almost all of which were wrong obviously by 1980. The same propaganda is being preached here in the UK. Good clip. Great example of MSM pushing a message (climate change) onto people who are already traumatised by the bad weather, or know someone who is. Really cynical, nasty piece of national mind control. They just had to do it,didn’t they. First the PM, then the Met Office then dutifully folllowed through by the corporate lapdog media (Channel 4 News Science Editor, no less). They are milking this crisis to support their climate change cause (agenda), which is pretty sickening really. as Judith Curry and many others seem to think. Didn’t need to add that, willis. I didn’t know that page was there. It’s excellent and really comprehensive. Excellent job WUWT. Graphs will be getting pinned to notice boards…. and my mate (whose 15 year old daughter was recently subjected to Al Gore’s movie of lies at a Scottish school) will be getting the link as well. What the politicians, the public and the press studiously ignore is that NONE of these alarmists have a credible predictive track record. All their scary predictions have failed to materialize, and that means they are proven incompetents, and that means that no intelligent person should listen to them. One has to wonder how so thoroughly EVIL an individual as Holdren could gain the influence he has. The villain he calls to mind is one Julius Streicher, well known as the ultimate sadist among the Nazis. Somehow, the word must be got out to the public concerning this man’s genocidal intentions. I think the time is long overdue to put into action a suggestion by the great Leo Szilard. National Science Foundation should pay second-rate scientists NOT to conduct research and NOT to publish articles. Why doesn’t Obama throw some money into that idea? Willis writes: “Now, consider … climate doesn’t exist, it’s just the long-term average of the weather. Come on Willis, I’m on your side, but you have to be more careful. The above is simply sophistry. Also, it seems you got the money quote wrong. Which, since this is called, “quote of the week” is rather key. You might be hurting more than helping when we add it all up. Let them make the own goals. They’re so good at it. 2) Why are all these “unprecedented, chaotic etc” weather events happening in 2013-14? Why didn’t they happen in 2001 when the troposphere was ~0.1C hotter (according to the satellites), or in 1998 when it was nearly 1/2 degree hotter during the el Nino spike? Why aren’t the warmist zombies saying “It’s worse than we thought, but thank Gaia it’s nowhere near as bad as in 1998”? ‘[Prime Minister] TONY Abbott arrived in the NSW outback town of Bourke today to talk drought — but instead brought more rain with him than the district has seen for two years. As a thunderstorm pelted down on the shearing shed of 40,000-hectare Jandra station, the Prime Minister promised local farmers his government wanted to do more help them cope with the current drought. “This is a great Australian sound, rain on a tin roof, but I am very conscious this has been a severe drought; it’s a natural disaster and a lot of people are doing it tough,” said Mr Abbott, who is on a two-day tour of drought-hit western NSW and northwest Queensland. “The important thing is that the government has a (farm assistance package) response that is intelligent, fair and (fiscally) responsible. The issue is that those in power are doing the communicating. All this “science” is giving us lawyers a good name. I don’t take polls. I have checked in my social circle, there is a remarked absence of anyone who takes polls. This is, of course, far from a statistical proof, but I personally do not take polls too seriously (in this context, anyway – as far as political polls instructing officials by how much they will be able to cheat, that’s another matter). Definition of mixed emotions: a bus full of climate scientists going over a cliff with 4 empty seats. Nope, works better with “lawyers” instead of “climate scientists”.